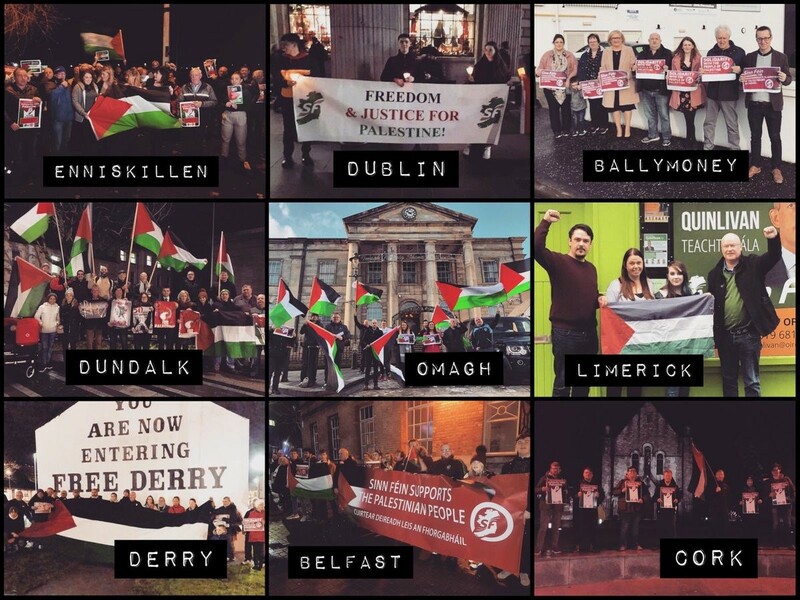 Solidarity demonstrations were held across Ireland last night in support of the people of Palestine. Demonstrations were held from Derry to Cork, organised by Sinn Féin, to mark International Day of Solidarity with Palestine. In Belfast, the demonstrations was held outside the headquarters of the BBC and called on the media to pay more attention to the plight of the Palestinian people. "In the last four months dozens of people have been slaughtered at the border to with Gaza. People protesting for the right to return to their homeland have been gunned down in cold blood by the Israeli military. "It's time for the media to focus on that injustice and it's time for the international community to stand up and be counted." Sinn Féin Seanadoir Niall Ó Donnghaile also called on the Irish government to ban the import of goods originating from illegal Israeli settlements. "The Irish government need to adhere to the will of the vote in the Seanad to pass the Occupied Territories Bill at committee stage. This bill would prohibit the purchasing of goods and services from the occupied territories' illegal settlements," he said. 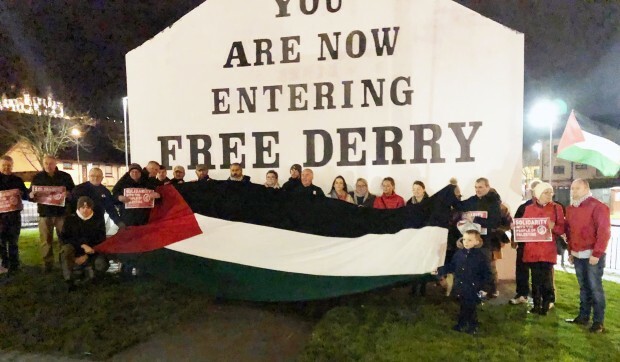 In Derry, republicans gathered at Free Derry Corner for a solidarity demonstration to hear councillor Aileen Mellon call on the international community to act in support of the Palestinian people. “The international community has a responsibility to support the Palestinian people and challenge the continuing human rights abuses of Israel. “Next week marks the fourth anniversary of a Sinn Féin motion - which was agreed unanimously by the Dáil - that calls on the Irish government to formally recognise the State of Palestine. The government must stop dragging its heels and implement this motion," she said.